There is a healthy amount of debate about which casual format is the most popular. We have so many to choose from! EDH is my forte, but we have Cubes, Rainbow, Highlander, Horde, and so many more. I’m of the opinion that 60-card casual is the most popular, without much regard for sets and legality. There are some awesome and fun decks to build, and I’ve got the Voltron deck with the Visions Chimera creatures to back this statement up. EDH is the casual format that gets the most press, though, and it also gets the most official support from Wizards. In 2011, they released a set of five preconstructed 100-card decks that contained cards never printed before. This was a real gamble from the company, because if a card took off for Legacy, then the decks would get bought up. Luckily, this wasn’t really a problem. Flusterstorm was quickly a judge promo, and just as Scavenging Ooze was getting out of hand in price, it’s a rare in Magic 2014. Let’s not overlook the value that was crammed into these decks, though. On top of the new cards, there were lots of reprints with monetary worth. Sol Ring was in every deck, and the price on that alone is 25% of the MSRP. We got lands, artifacts, creatures, all sorts of amazing goodies, and for a surprisingly reasonable price. Since this was a wide release, game stores didn’t have a chance to mark this up like they do with FTV or other limited releases. Why am I reviewing things from two years ago? Because there is a new set of five Commander decks coming out this November, and we know enough to make some plans. Last week I made some specific price predictions that are taking into account a new batch of EDH players, and the increased demand for such casual cards. 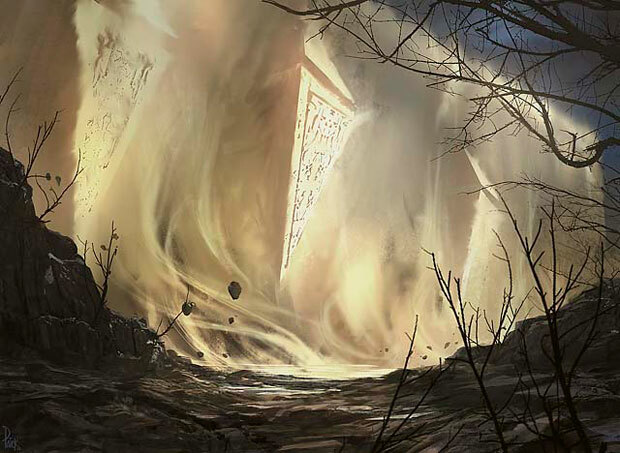 The decks are three-color shards, allied colors as in the Shards of Alara block. This means that the tri-lands like Seaside Citadel, currently $2 uncommons, will very likely get a reprint. I think their value will go down slightly (so you should get rid of extras you have now), but you should pick up foils now if you can. We didn’t get much in terms of rare lands last time, aside from Command Tower, an elegantly simple design. Expect that to get printed again. I would suggest you keep an eye on eBay for the two foil Towers, the judge promo and the Commanders Arsenal, as those won’t come around again with that art and in foil. When the new decks come out, people will want the foils and I doubt you’ll be able to find these under $20. I don’t expect the check lands (Sunpetal Grove, Sulfur Falls, etc.) to be in these decks either. I’m targeting these lands when they rotate anyway, but you want to have the two allied lands and the enemy-color land to trade away at high value once people are opening the decks and want to improve the manabase. So for the red-black-blue deck (Grixis colors) someone will want a Dragonskull Summit, a Drowned Catacomb, and a Sulfur Falls, all at once. You should be able to get the assorted checklands for very low investment once rotation happens, and they will bump up when the Commander decks come out. Since the new decks are shards and not wedges like the last, I’m also looking for the legends from the 2011 set. Being printed two years ago and safe from printing this year means that they are safe for at least another year. When someone picks up EDH as a format, the tendency is to go on a deck-building spree. Did you know that Kaalia of the Vast is a $15+ card? She will probably be retailing for $20 before Valentine’s Day. 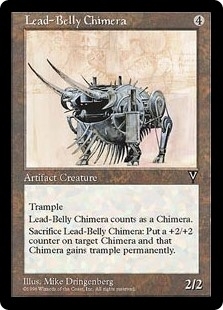 It’s hard to find spare singles from Commander’s Arsenal but it may be worth it, since we have been told that the preconstructed decks will be a yearly thing and CA was a one-time product. The two spoiled legends from the set are a Vampire and a Dragon. I wouldn’t be surprised to see a Bant Angel, a Naya Beast, and an Esper Sphinx as legends. I’m on the lookout for cards that go well with those tribes and two are about to rotate: Thundermaw Hellkite and Vampire Nocturnus. I’m sure we will see some tribal enablers too. Give me a moment to make a wild-eyed prediction. Ever since Jace, the Mind Sculptor was put in FTV:20, I’ve had it in my mind that the C13 decks will have fetchlands in each deck. Maybe just one per deck, the enemy-colored ones from Zendikar, because this would increase the supply of those lands for Modern decks somewhat. I’d really love to get the maximum of three fetches per deck but that would just be too amazing. I want to leave you with this closing thought, based on my play with the first set of five Commander decks: These are not Duel Decks, these are not Event decks. These are very playable, staple-filled, fairly competitive EDH decks. Even now, two years later, each of the decks is easily worth more than its MSRP. Don’t sleep on the value involved just because you don’t play the format. But you really ought to be playing the format.